If floor space is at a premium in your home or apartment, the Jotul F165 Woodburning Stove offers the perfect solution. 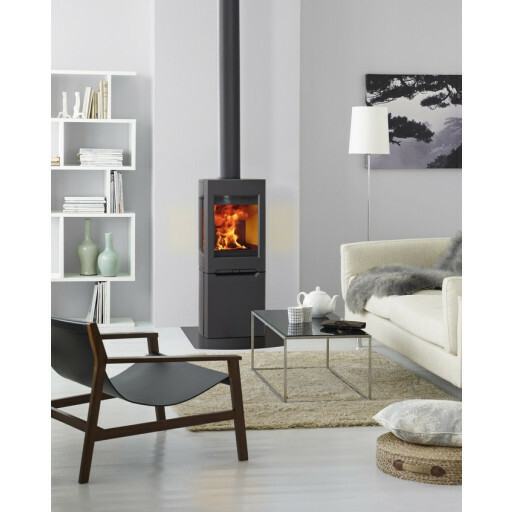 It is one of the most innovative free standing wood burning stoves available in the marketplace, designed to take up space vertically rather than horizontally as most traditional woodburning stoves do. One of its key features is its large side glass panels along with a choice of different bases to help you best complement your current style of décor. Constructed from the finest quality durable cast iron guaranteed to last for years to come, the Jotul F165 Woodburning Stove features DEFRA approval for burning wood in a smoke controlled area. Its energy-efficient radiant heat output ranges between 5.1kW to 8 kW. One of the most popular features associated with the sleek Jotul F165 Woodburning Stove is its practical storage space located in the base. It's the perfect hiding place for storing non-combustible accessories you may need for operating the stove without cluttering up floor space elsewhere in the room. Just one look at the Jotul F165 Woodburning Stove will have you convinced it's an ideal investment to upgrade your contemporary lifestyle. 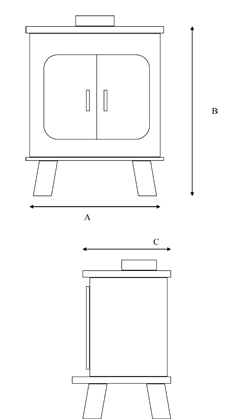 It's one of the most suitable stove choices for low effect heating. Its spacious glass panels let you enjoy viewing the flames as they dance about while you enjoy remaining warm and cosy.